The Legends have teamed up with Legacy Plumbing to bring a new outreach opportunity to Legends fans! Each month, we will select a different non-profit in the area and will collect donation items the organization is in need of. Legacy Plumbing has been running this program for years internally with their staff and customers so we have expanded the reach to include our Legends family in the efforts. 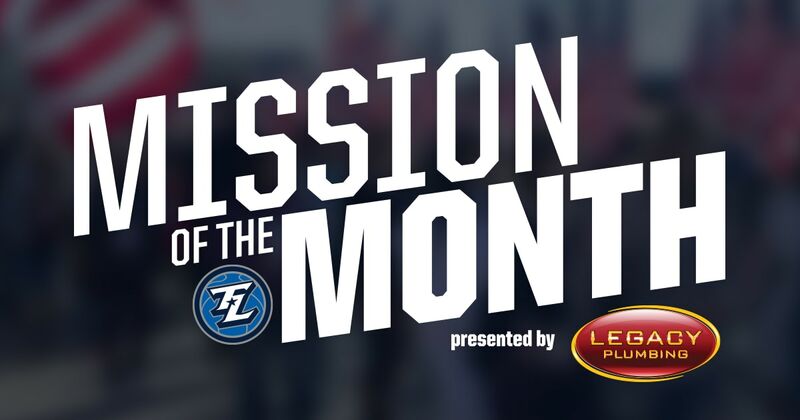 Check back here for each month’s list and to learn more about the mission of that month! Items will be collected primarily at the Legends’ three monthly networking events but can also be dropped off at the office (2601 Avenue of the Stars, Suite 300). 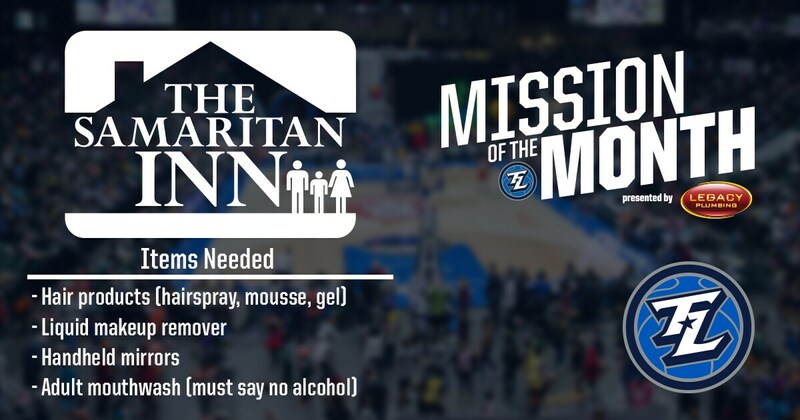 This month we are collecting items for The Samaritan Inn. 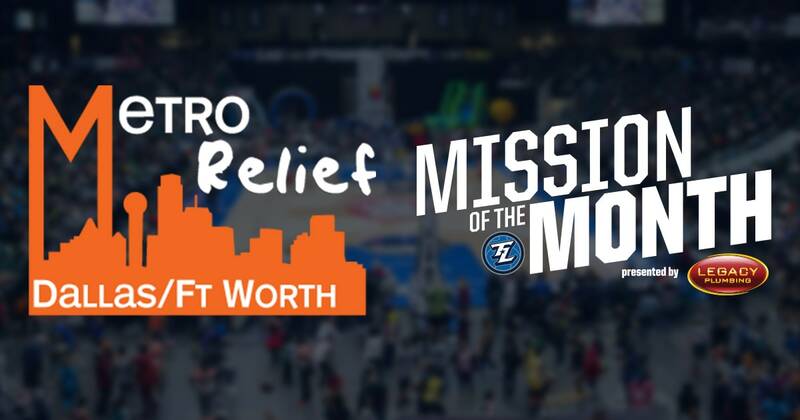 This month we are doing a Sock Drive for Metro Relief! This month we are collecting items for Family Gateway. Please see the list below to find out what to bring to this months networking meetings! 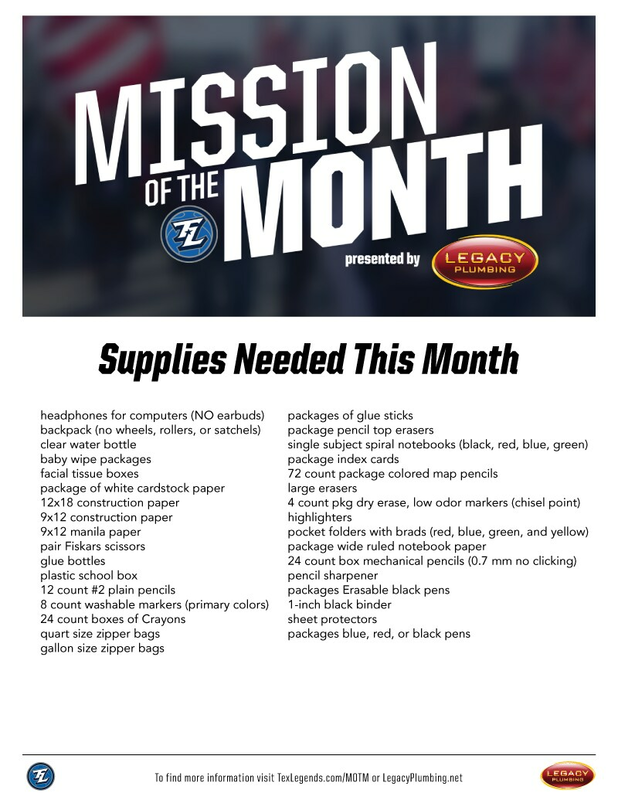 This month we are collecting items for Mazie’s Mission. See the list below or donate via the donation list on Amazon – Found Here. December’s Mission of the Month: Arms of Hope. This month we are Collecting new and unwrapped toys for Arms of Hope. This month we are doing a food and coat drive for needy families around the holidays. 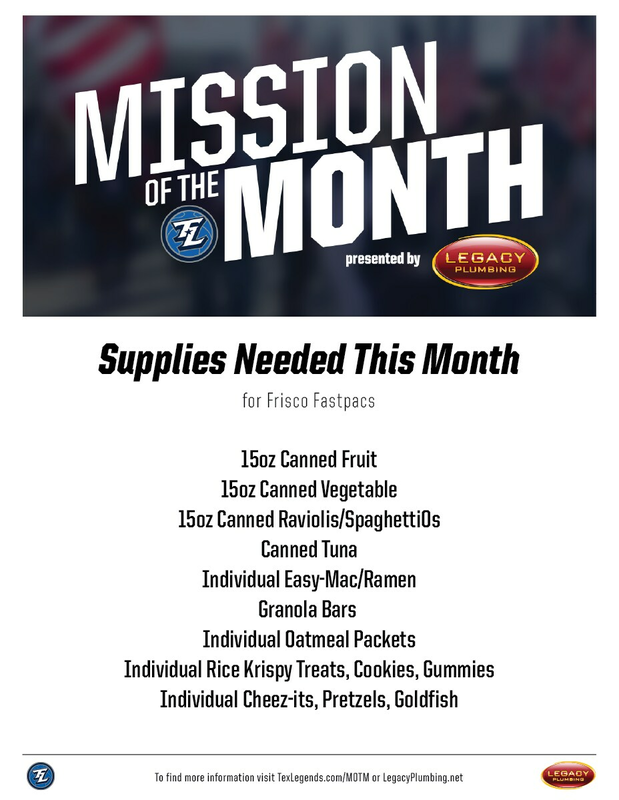 The mission of Frisco Fastpacs is to ensure no child in Frisco is left hungry when school is not in session. Frisco Fastpacs provides weekly food pacs to 800 at-risk school-aged children in over 50 Frisco ISD schools. Each food pack provides seven meals which will cover the weekend’s meals and do not have access to the schools’ free lunch and breakfast program. Through a strong partnership with Frisco ISD, program information is shared with school administrators, counselors, and teachers who identify eligible students. In 2016, Frisco Fastpacs was named the Frisco Chamber of Commerce’s Non-Profit of the Year. The organization has grown from one woman with a vision working out of her home to a network of hundreds of volunteers gathering, packing, and delivering weekend meals each week.